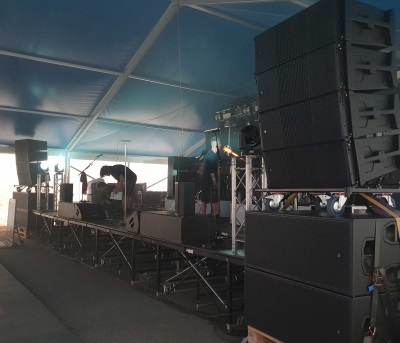 Livepro and Norstage support annual coastal culture festival HALO-A two-way line arrays, MSE-218 subwoofers, and DQ20 system amplifiers. Celebrating its 25th anniversary next year, Skudefestivalen is one of Norway’s largest coastal culture festivals. 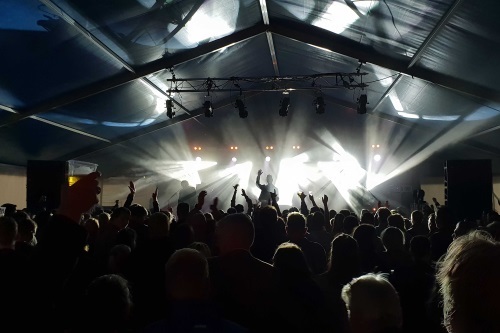 This year marked the first European outing for EM Acoustics’ newly launched HALO-A large-format line array system on the festival’s main stage. Performances from many of Norway’s top acts included Jan Ove Ottesen, Heine Totland, Plumbo, Just 4 You, Keipstein and Slogmåkane. Larsen elected to deploy left and right ground stacks of four HALO-A two-way line array elements supported by three MSE-218 subwoofers each side, powered by four DQ20 advanced system amplifiers. As for performance, Larsen strongly praised the remarkable projection and rear rejection that HALO-A’s design offers. Norstage’s Lasse Erikson agrees. “Geir certainly had a big smile on his face as he was using it, and comments from other engineers – including top Norwegian engineer, Johan Berntsen who engineers for Janove – were very positive. They all remarked on how good it sounded and the amount of SPL they could generate (which is important for Norwegian rock bands.) The difference between the system Livepro have been using here for the last five years and HALO-A is huge, even though on paper they were very similar. The HF clarity and the power of HALO-A was astonishing.